We are 100% copyrighted using the latest technology and trademarked. 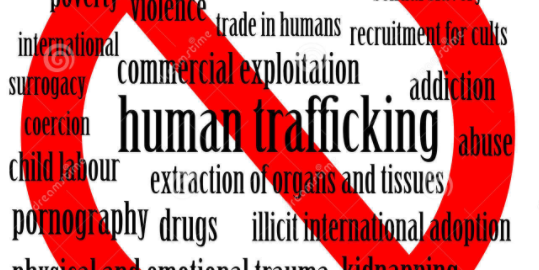 Exspeedite Trucking Software Gets Involved with Trafficking! Exspeedite trucking software is sounding the horn to raise awareness for the trucking and transportation industries in the fight against Women Trafficking. We know our voice isn’t enough, which is why we provide value in other ways. As much as we’d love to be a bigger part of fighting these crimes with boots on the ground, we understand we don’t have the knowledge of the experts. However, we do know that every dollar counts for identifying trafficking victims and keeping them safe. Exspeedite is a proud sponsor making consistent donations to Truckers Against Trafficking. Special Note: Stats information presented is transferred from https://truckersagainsttrafficking.org/ which we consider to be our primary resource. We thank them for their inspirational work. There is an immense amount of information regarding this subject, so we are honored to continue our series of blogs to share how Exspeedite not only brings you the best enterprise trucking software for small to mid-size companies, we are genuinely dedicated to a cause bigger than ourselves. A few dollars and a few organizations aren’t all it takes, and we know that. Here at Exspeedite, we’re not staying silent. There are several ways we’re getting involved to make a positive impact and extend our outreach. The Exspeedite trucking software company is in a position to bring attention to Women Trafficking, and that’s why we’re making a conscious effort to contribute. We work with shippers, carriers, commercial and private fleets, brokerage, 3PL, and heavy-duty transportation companies. This means we have a broad network of important businesses that can also get involved. Exspeedite has a reputation of providing excellent business service for trucking software, and we want you to be aware that we’re doing it with an enormous heart. Thank you for joining Exspeedite in our efforts as we continue to work together to make a meaningful impact.